Many factors influence a person’s choice of career. 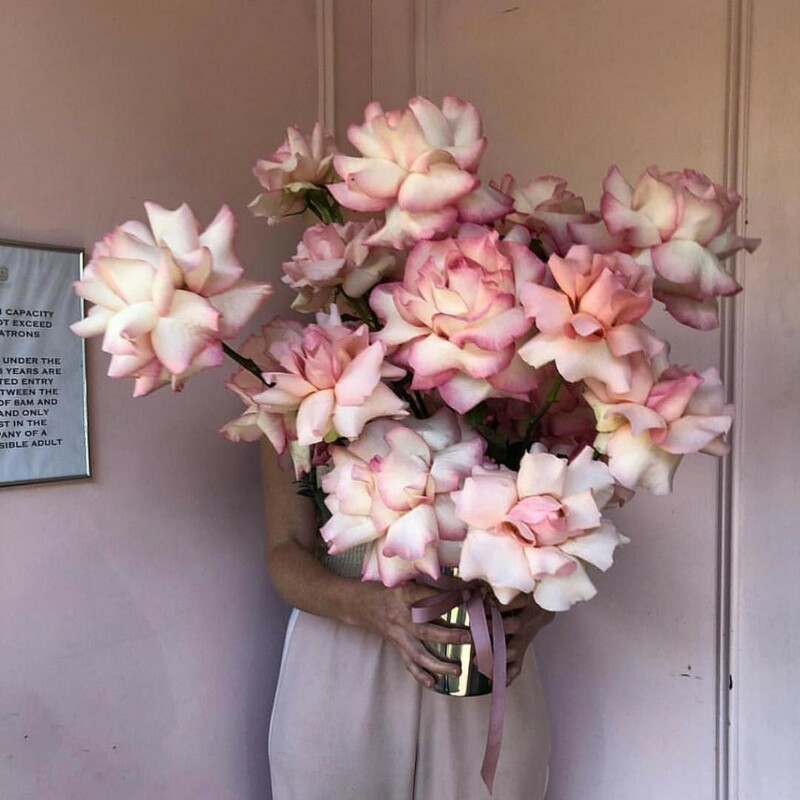 As a florist, there might be a passion for decorating, and designing, or a hunger to be involved in large scale events, but at the heart of it all, there must be an undeniable love of flowers. Mother Nature provides us with such a gorgeous array of flowering plants, which in turn become cut flowers. Funny thing is, we often find new ways to present those flowers rather than leave them in their natural state. There are so many ways to decorate with flowers, and the longer I am in the industry the more I see, and the more I experiment with. We manipulate the seasons so that we may enjoy our favourite blooms almost year round. We import blooms from all over the world as we have an insatiable desire that we are seemingly unable to fulfill with what we can produce ourselves. We colour or dye the blooms, sometimes in such subtle, natural ways, that people are led to believe it is some of Mother Nature’s finest work. At other times, we dye flowers for something different, something in fashion, or perhaps just to fulfil a colour brief….I mean, blue is one of the most popular corporate colours and there are not many true blue flowers in the world, so what were we to do? We create artificial stems or structures so that we are able to manipulate the bloom within a design. Floristry has become about far more than simply arranging fresh cut flowers. One of the current trends is for a rose to have the first and second most outer layers of its petals peeled back to create the most amazing staged version of a rose ‘blooming’. The technique is called “reflexing”. 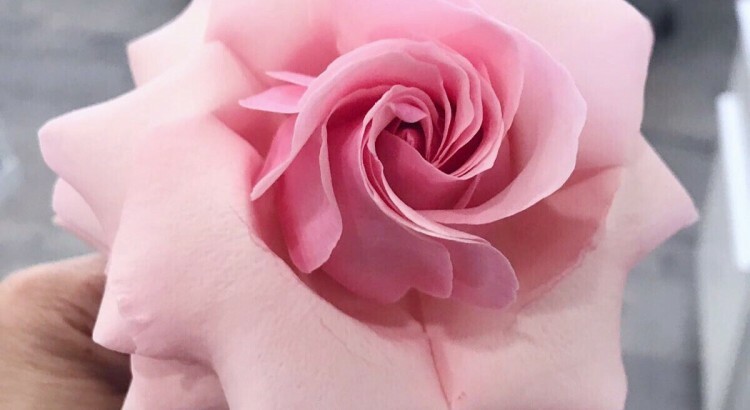 It is a technique that requires a gentle touch and a whole lot of patience as you need to delicately peel the rose petal back and flip it in the opposite direction to the way it naturally grows. When you reflex a rose, you expose the rose head, and are able to create a bloom that is 2-3 times the size of an average rose. 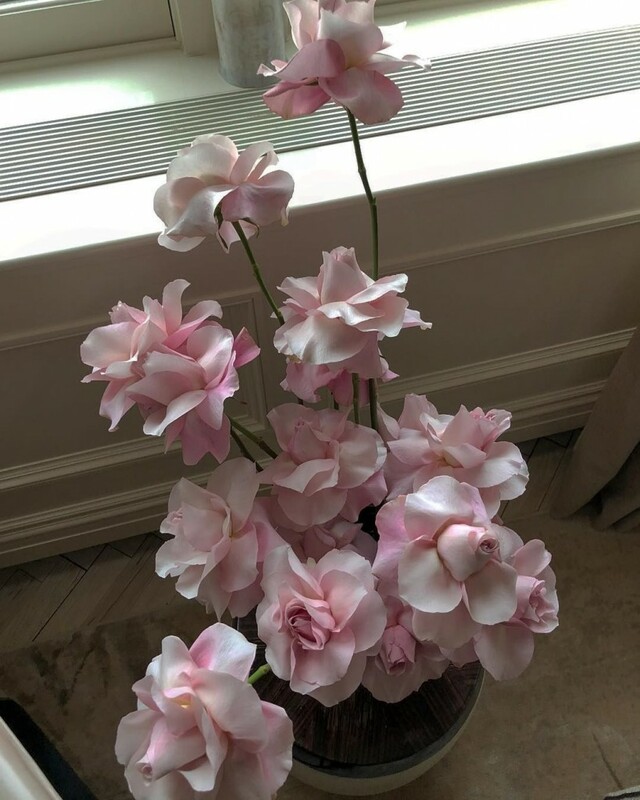 Rose reflexing is being used everywhere by everyone, becoming quite the showstopper for events and large scale installations, and it totally makes sense right? If you have the ability to make a Rose look visually much bigger than it actually is, of course it is going to be front and centre in your arrangement. Reflexing is not a technique that is only confined to roses either. As a young florist I was initially taught how to reflex tulips, which in my opinion is simpler, although it is quite easy to bruise the tulip petal. These days a quick google search of #reflexed will deliver you pictures of almost every type of flower imaginable, turned back on itself. Like all things, not everyone is a fan…and some even hashtag their pics #tortured. I’d love to know if you are a fan of reflexed blooms or not? Ears. We hear things even when we are not listening. Our days are filled with noises that we need not consciously register. The hum of traffic, the wind, the spinning of a fan on a hot day. These kinds of sounds do not motivate us, or compel us to change our behaviours. They are so common, so insignificant in our everyday lives that we almost tune them out. A door slamming, a plate shattering, a panicked scream….these sounds send shockwaves through our bodies. They propel us upwards and outwards, investigating where, what, and why? Many living things rely on their hearing as we do…using there sense of sound to ascertain whether a situation is safe or should be avoided. Snakes for example, do not have visible ears like we do, their hearing apparatus is connected to their jaws, so they interpret the vibrations they hear to determine whether a situation is favourable. Similarly, it seems, plants use their ‘ears’ as well. Although they do not have ears as we do, a recent study has shown that a plant that hears a buzzing bee nearby changes its ‘behaviour’, that is, it produces a more concentrated, sugary nectar to attract them. 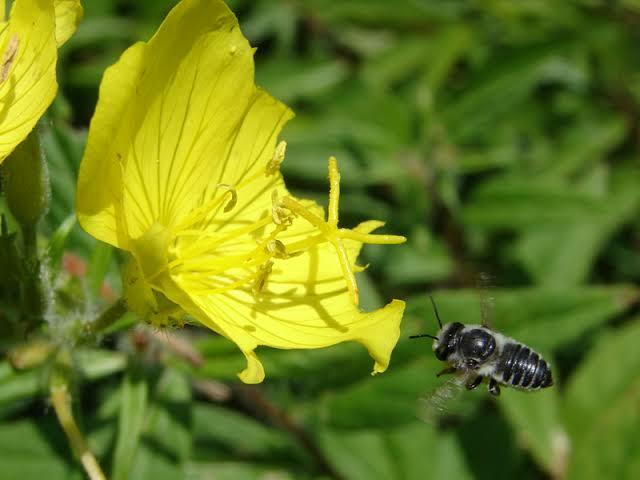 The study undertaken by Tel Aviv University, examined Evening Primrose flowers, Oenothera drummondii, and found that within mere minutes of sensing bees, the plant temporarily changed the concentration of sugar in their flowers’ nectar. In essence, the flowers themselves were acting as ears, sensing the frequencies produced by a pollinator’s wings, yet tuning out irrelevant sounds. Within just three minutes of exposure to recordings of buzzing bees, the sugar concentration in the plants was seen to increase from between 12 and 17 percent to 20 percent. When you think about it, many flowers have a bell like shape, not unalike the anatomy of our ear. This shape allows them to receive and amplify sound waves. This was one of the many observations the team made throughout the research project. So why would this finding be relevant? Well, just as animals use their senses to detect danger, and find mates, a sweeter nectar may be able to attract more pollinators. 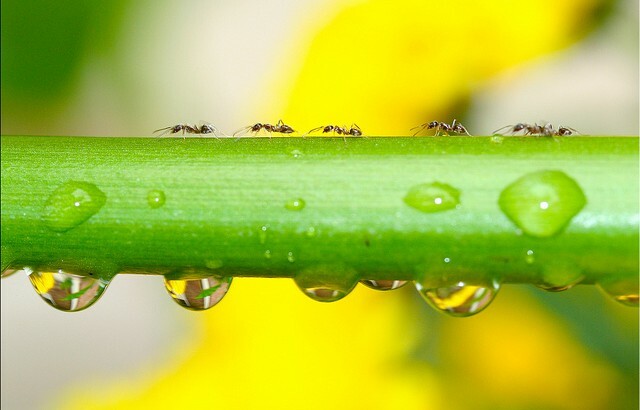 The more insects attracted, the more likely the chances of cross pollination. 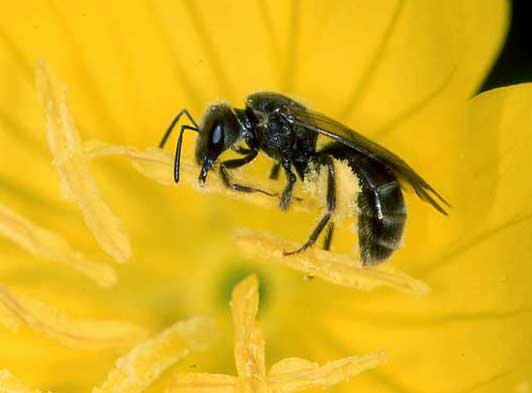 In fact, Lilach Hadany and her team found that in their observations it was evident that a pollinator was more attracted to plants another pollinator had visited within the 6 minutes prior. Certainly something interesting to consider in any case. Firstly, let me welcome you to the first blog of 2019! Time seems to be moving ever faster but what a glorious start to the year it has been. On our way up to our holiday accommodation, I was musing….mesmerised by the glorious scenery along the way, inspired by the colour palette that Mother Nature created for us. I was dreaming about ways I could use these palettes in another creative project. One tree that continued to catch my eye along the way were the gum trees. The streaky trunks painted in watercolours bleeding into one another: muted greys, mauves, soft golds, dustry pinks, aubergines and chocolate. Eucalyptus trees in Hervey Bay. Supplied. The summer skin of the gums standing there strong and proud…freshly naked. Freshly shed, brilliant bright orange in colour: an intoxicating tequila sunrise. And who could forget the ghostly white gum tree? Pale and creamy, illuminated against the backdrop of bright blue skies, and the thick green scrub. 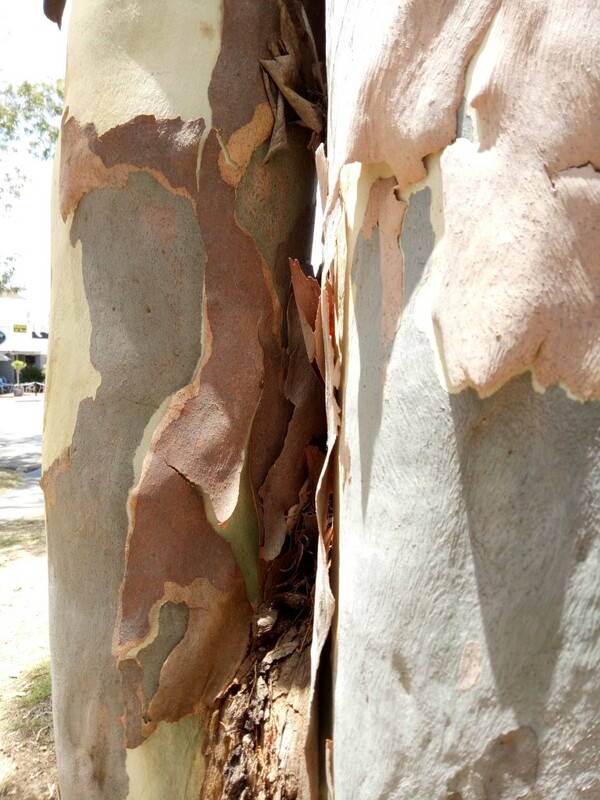 Like many others I’m sure, I had assumed all gum trees were native to Australia, so like me you may be surprised to find that this is actually not the case. One evening I was chatting to one of my best friends, who just so happens to be a very talented, inspired florist. 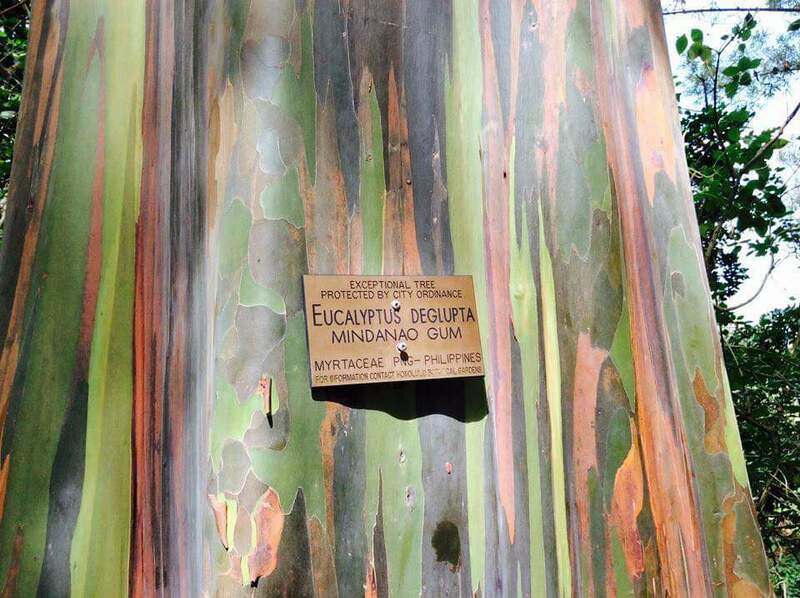 She was talking about this AMAZING variety of Eucalyptus, The Rainbow Eucalyptus, Eucalyptus deglupta. I’d never seen it or heard of it for that matter! This image shows the distribution of Eucalyptus. 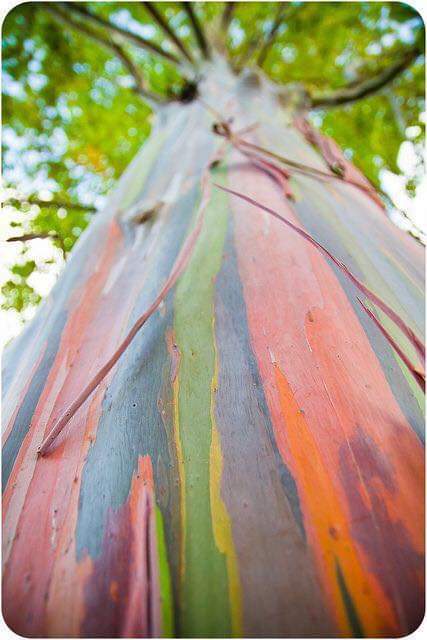 The Rainbow Eucalyptus is the only species occurring naturally in the northern hemisphere. Source: Sarefo, via Wikimedia Commons. The Rainbow Eucalyptus is also known as the Rainbow Gum or Mindanao Gum and is native to Indonesia, Papua New Guinea and The Phillipines. But what is also pretty unique is that this is the only Eucalyptus that extends into the northern hemisphere naturally. In areas of the USA, the trees only grow to approx 100-125 feet tall, which is approximately half the height they grow to in their native environment. But, if you can provide them with a frost free environment, you can grow a Rainbow Gum of your own…though remember it is a huge tree so it’s probably not suitable for most residential settings. 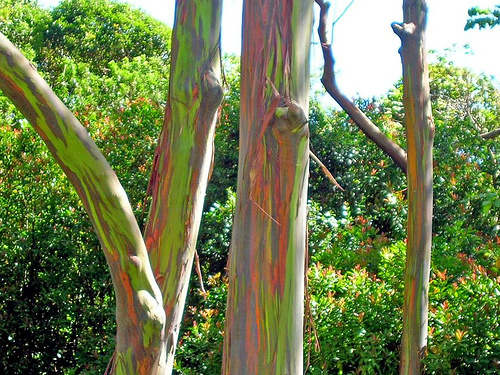 The defining feature of the Rainbow Eucalyptus is the multi coloured bark. 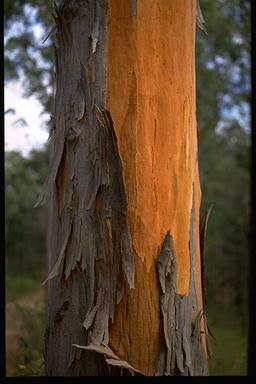 The older bark sheds each year, at different times, revealing the new layers of bright, lime green trunk underneath. As the new layers age and mature, the colour changes and deepens, revealing a multitude of vertical coloured stripes: in lime green, blue, purple, orange, red, maroon and grey. The colours appear brightest and most intense when planted in native regions. The Rainbow Eucalyptus loves full sun, and rich, medium to wet soil. 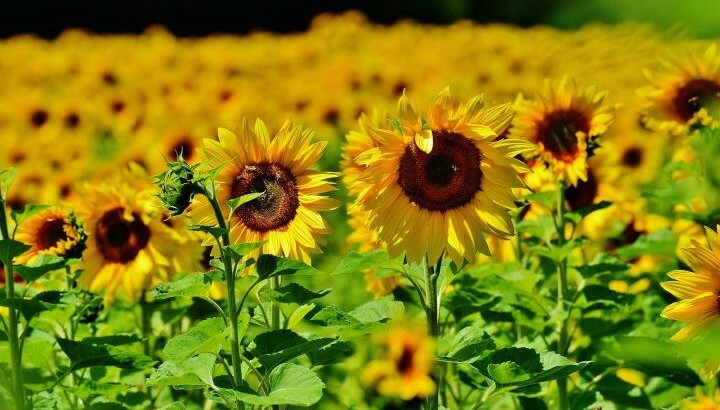 It does not tolerate frost, so is suitable for subtropical and tropical regions only. It is the kind of plant that is almost unbelievable. But believe me, it’s real, and this is all completely natural. Wow! Rain, Rain – Go Away, or Stay? 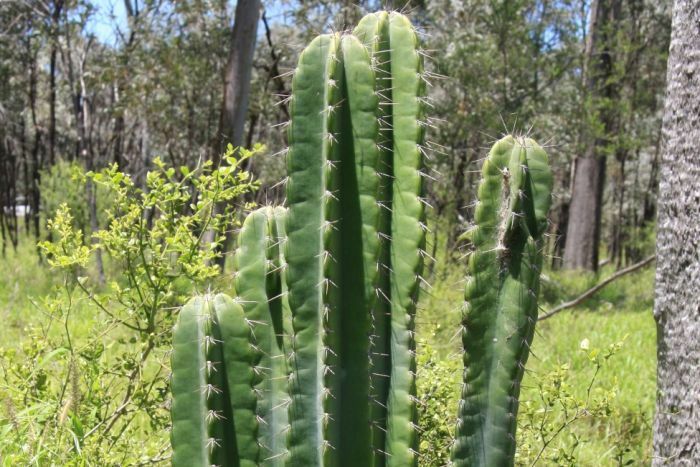 Similarly, a variety of cactus, found in Central Queensland but originally from Peru, has caught the attention of weather watchers and gardeners as it appears to have weather predicting abilities. It won’t replace the weather reporter anytime soon though, and has now been determined ‘a pest’ and ‘biosecurity risk’. 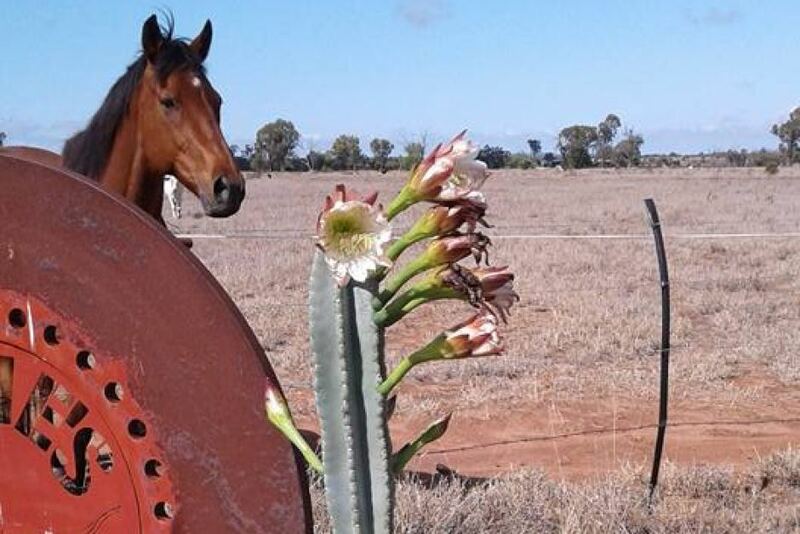 Earlier in the year, Bill Lane, from Emerald, a thriving rural service centre in the Central Highlands of Queensland, shared a picture of his cactus via social media which flowers before it rains. Well, obviously this sparked amazing interest from other gardeners who wanted to get a cutting of the plant, and see for themselves. 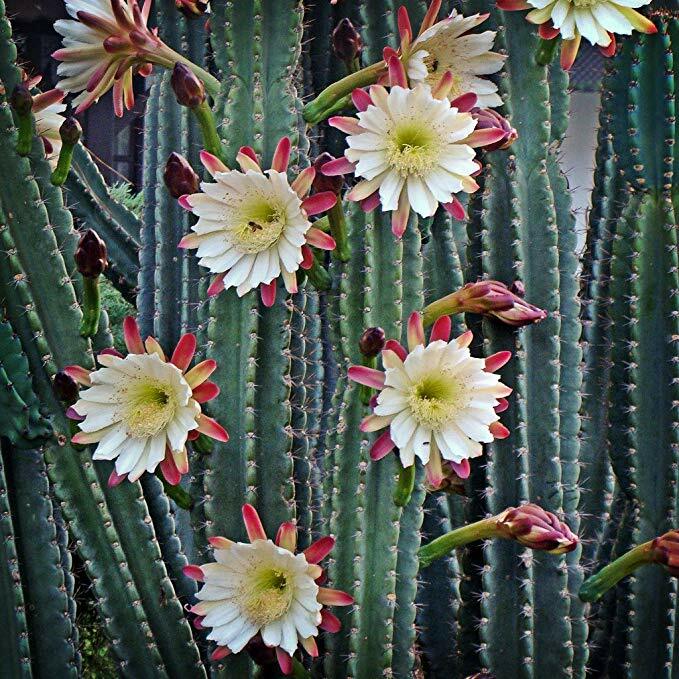 The ‘cereus uruguayanus’ is also known as Willow Cactus, night blooming cereus and the Peruvian Apple Cactus. 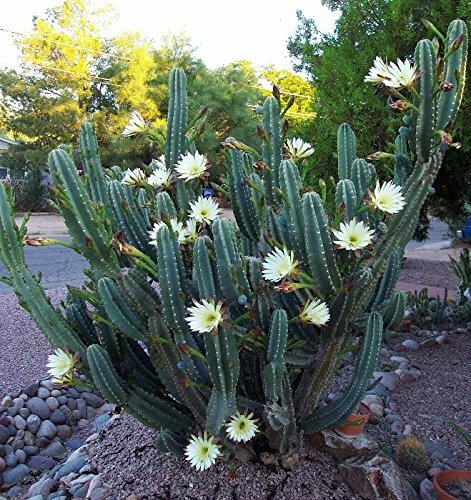 But like other species of cactus with delicious fruit that birds enjoy, the thousands of seeds within are spread easily. 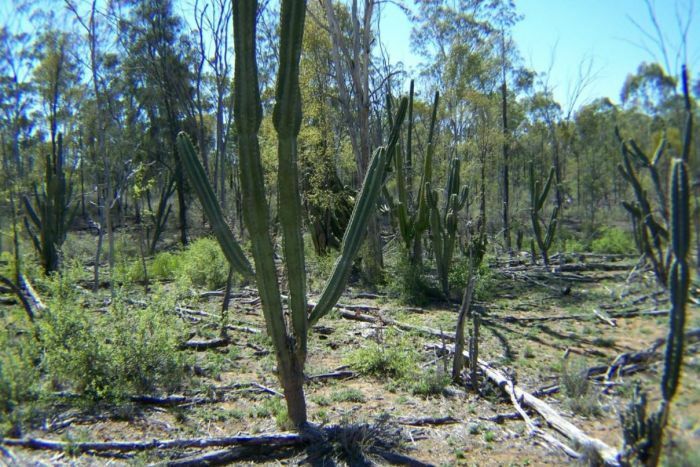 Cactus are plants that are able to survive in the most arid conditions, where very little else can, so these tough little guys can pop up everywhere, and have been, causing farmers great difficulties. This plant can be devastating for farmers, and many are pleading for people to be mindful of the consequences of sharing this species around. This particular species has been on the list of priority pests since 2015, and whilst they have had some success with stem injection, physically injecting each plant stem in dense crops proves time consuming. Sending sympathy flowers to family members of the recently deceased is one way of showing your support, love, and friendship. Truly, there is no easy way to accept the death of family and friends. Sympathy flowers are a sincere gesture of support for those left behind. Here are some shopping tips for those who want to order sympathy flowers online but are clueless about flower-sending etiquette. In essence, sympathy flowers are arrangements that are sent directly to the bereaved family after the announcement of an individual’s passing. 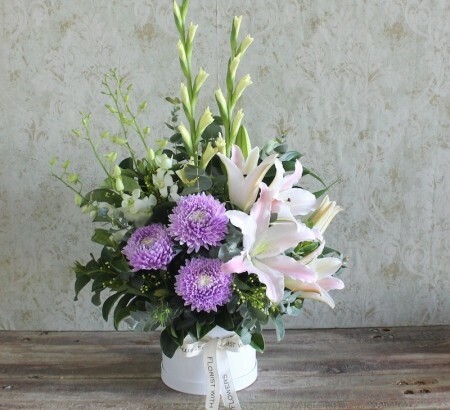 Traditionally, sympathy flowers come with sympathy cards expressing condolences to the family. Customarily, a bouquet of sympathy flowers should be neutral in colour. Blooms in vibrant shades should be avoided as they are more appropriate for celebratory occasions. You may also send a sympathy flower arrangement in place of a bouquet. The bereaved family can use the flower arrangement to decorate the service at the funeral home. Make sure to send sympathy flowers a few days after a person’s death. If you have the time, you can request same day delivery sent to your home, so you can personally hand them when you have the chance to visit the funeral home or the funeral service. If you want to send the bereaved family something more lasting than flowers, you may also send them sympathy plants instead. Plants can be displayed for months and can serve as a remembrance of a lost beloved. Choose among the many sympathy flowers bouquets and arrangements here. To place an order, you may also reach us on 02 9871 1666. Flowers delivered to someone celebrating a birthday is a sweet and thoughtful way of greeting them on the special occasion. Flowers express pleasant emotions from, “I love you.” to “I remember you.” Most importantly, sending birthday flowers is a sincere gift that can mean the world to the celebrant. There are specific types of flowers that are meant to celebrate birthdays. In addition, the type of birthday flower to buy online will depend on your relationship with the recipient. For instance, if you are sending out flowers to family members and relatives you may choose to order lilies, daisies, or wildflowers in vibrant colours. If you are sending out flowers to a loved one such as in the case of a girlfriend or wife, red roses certainly convey deep affection and love. What type of birthday flowers should you give out? A pot of blooming orchids looks elegant, to say the least. This bloom essentially symbolises beauty, strength, and love—some qualities that the birthday celebrant also showcases. Nothing can be more romantic than receiving a bouquet of fresh roses on your birthday. Obviously, red roses symbolise love and deep passion. You may also want to give friends and relatives yellow roses that symbolise joy and friendship. Pink roses are to be sent out as birthday flowers for celebrants that you inspire and admire. Lilies are the perfect birthday flowers as they represent happiness, positivity, and new beginnings. This is the perfect flower to send out to women close to you such as your mum, sister, aunt, or grandmother. Whatever birthday flower you choose to send people on their birthday, make sure to include sincere well wishes to complete your thoughtful gift to them. Check out our elegant birthday flowers and luscious bouquets here. For enquiries, you may also reach us on 02 9871 1666. Flower fragrances in nature are used for exactly the same reasons, to attract and intrigue, to invite and lure the pollinators. 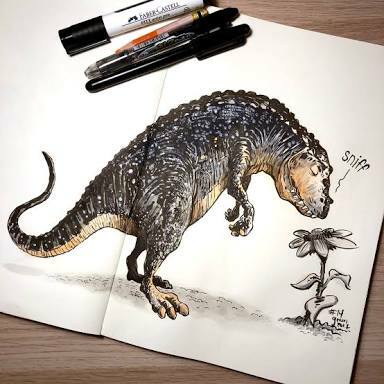 A recent study has shown that flowers from the Cretaceous period may have had similar fragrances as their modern day counterparts. What is extraordinary, is that the study undertaken by Oregon State University has shown that primitive flower varieties used their fragrance to attract pollinators. Modern day flowers use both fragrance, as well as colourful petals and showy designs to lure pollinators, however these ancient ancestors relied on perfume alone. The evidence shows that floral frangrance originated some 100 million years ago…we are talking back when dinosaurs roamed! 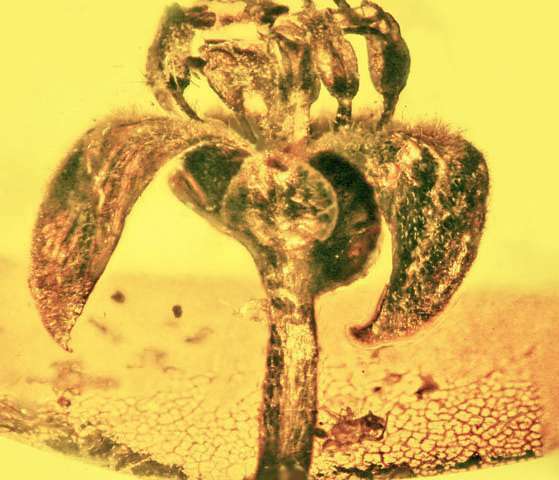 “I bet some of the dinosaurs could have detected the scents of these early flowers,” said George Poinar, an entomologist at Oregon State University. “In fact, floral essences from these early flowers could even have attracted these giant reptiles,” said Mr. Poinar. The flowers were immortalised in hardened tree sap, known as amber. The team researched glandular laurel flowers (Cascolaurus burmensis and veined star flowers (Tropidogyne pentaptera) found in Myanmar. 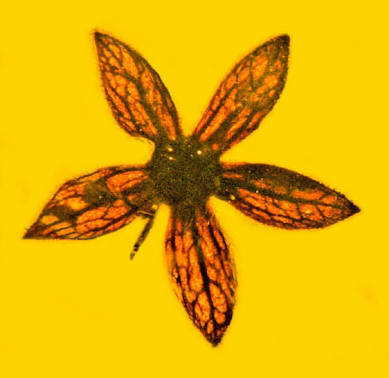 Whilst the scent of the flowers could not be retained within the amber, what was preserved was the tissue structure responsible for producing scents. They also found that the secretory tissue was similar to their modern day descendants. 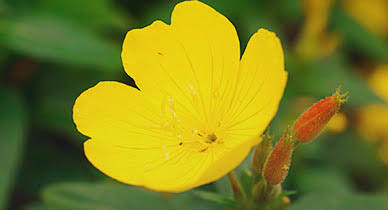 This suggests that these Cretaceous flowers could possibly have produced similar essences to modern flower varieties. Check out the resemblance to Christmas Bush from New South Wales. “It’s obvious flowers were producing scents to make themselves more attractive to pollinators long before humans began using perfumes to make themselves more appealing to other humans,” said George Poinar. We all know how vitally important pollination is. Without it, the world’s food production ceases. But it almost seems obsurd to think that flower essences, something we use today for cosmetic and hygienic purposes was key in plant reproduction all those years ago. Farmers Best, But for Less. These days when you go to the supermarket, or green grocer, you are presented with multiple options. The Western world is reknowned for only wanting the best of everything but refreshingly, I believe we are in the midst of change where many people are trying to make more mindful purchases. We are learning that something looking ‘perfect’ does not necessarily equal perfection. And we are also beginning to learn or appreciate that buying seasonal produce means that fresh products can be enjoyed at their best. We are now given the option of buying what can only be described as ‘seconds’. And whilst their appearance may not be perfect, often the produce tastes the same (if not better) than their pretty peers. Jamie Oliver has been pretty instrumental in Woolworths’ campaign dubbed ‘The Odd Bunch’, which provides seasonal produce that looks a bit ‘ugly’ but is marketed at a more attractive price. The farmers have set aside land, watered, fertilised and cared for this produce, and it would be so incredibly wasteful to simply cast them aside. It was quite the breath of fresh air when I read in UK newspaper, The Sun, that one big retailer is trying the same concept with flowers. Flowers with smaller blooms, shorter stems or other ‘defects’. The reality of flower production is pretty harsh. For stock grown outside, it is at the mercy of nature. Heavy rain can cause mildew or fungal problems. Harsh, dry temperature can result in smaller blooms, shorter stems, and sometimes a glut of produce all available at one time. Wind damage results in fewer blooms as well as damage to leaves and petals. Hail can have devastating effects on produce, wiping out whole crops, or causing horrendous damage that makes sale impossible. The farmers are already up against so much, so this would be a wonderful scheme to implement and keep farmers on their properties, and able to make a living. 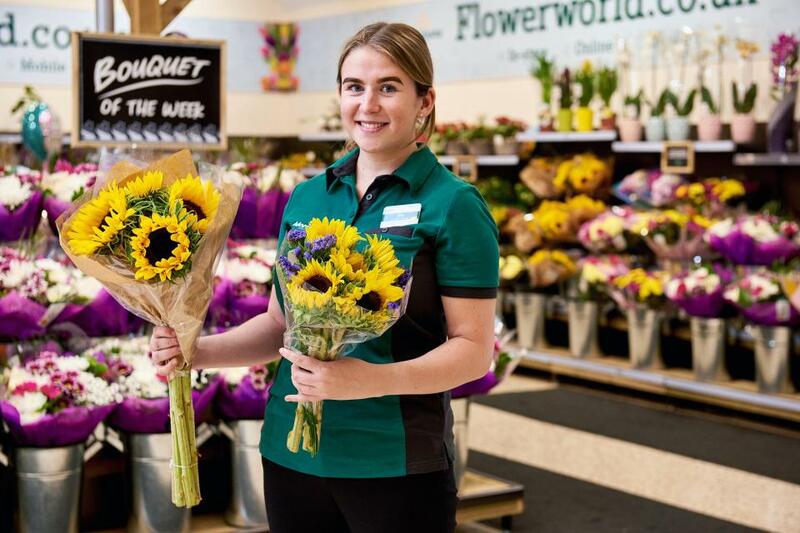 Drew Kirk, from Morrisons in the UK said: “It would be a shame to see these beautiful stems go to waste just because they’re a few centimetres too short. Have you ever seen a wild hibiscus in flower? 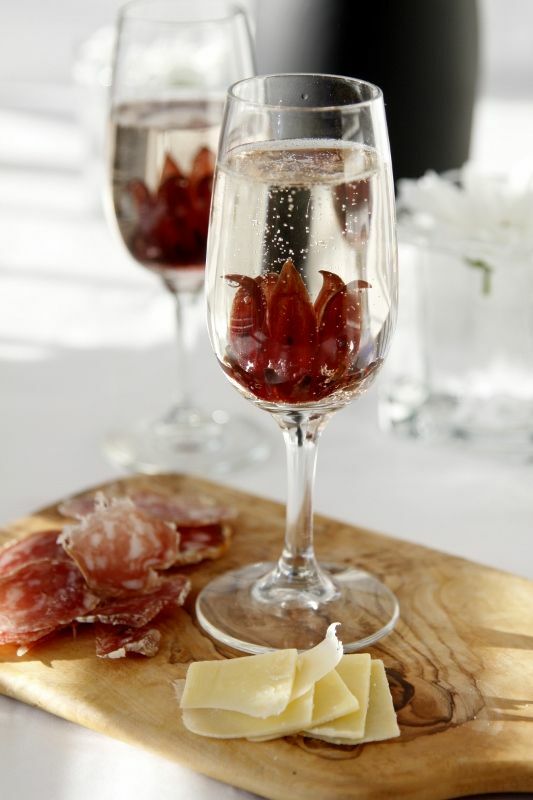 Or, better yet, have you watched one bloom in a glass of bubbly? Rosellas, are a tropical annual, which are also known as Wild Hibiscus, Florida Cranberry, Royal Roselle, Red Tea, Guinea/Indian/Red/Natal/Jamaican Sorrel, Jamaica tea flower, Java Jute, Nubia tea, Pink Lemonade, Queensland Jelly Plant, and Sour-Sour. The plant, originally from South Africa, grows beautifully throughout tropical and subtropical regions of India, Australia and Southeast Asia. 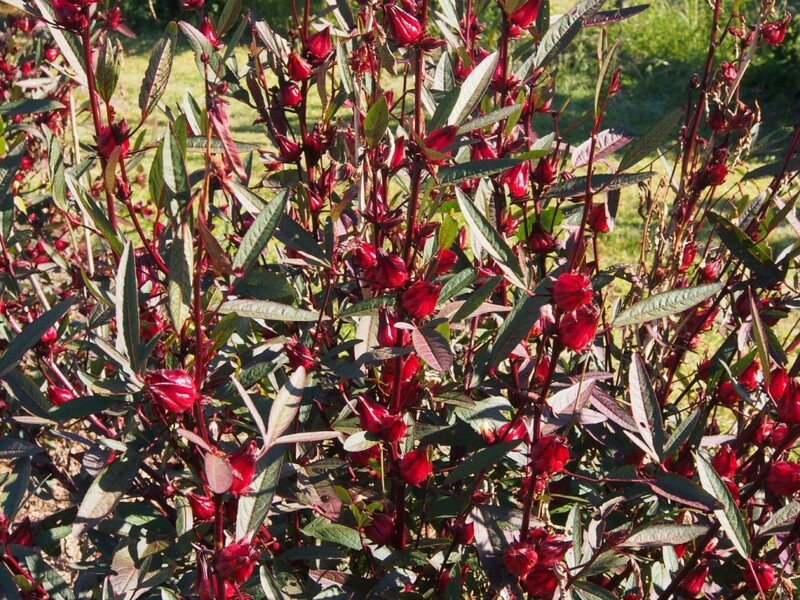 If I’m really honest, I may have sold Rosellas as a Native flower at some stage over my career 🤔 I’m sure I’m not the first, nor the last to do this….The Hibiscus is often associated with Australian bush tucker, and has been popular with Indigenous Australians since being introduced here, so I guess I just assumed they had been native. They grow prolifically in Queensland and Northern Australia. Having grown here for thousands of years now, there are some differences in our plants characteristics from those in neighbouring countries. The Hibiscus grows on the edge of forests and rainforests, and in sand dune regions. It is a hardy, drought resistant plant however it is sensitive to frost. 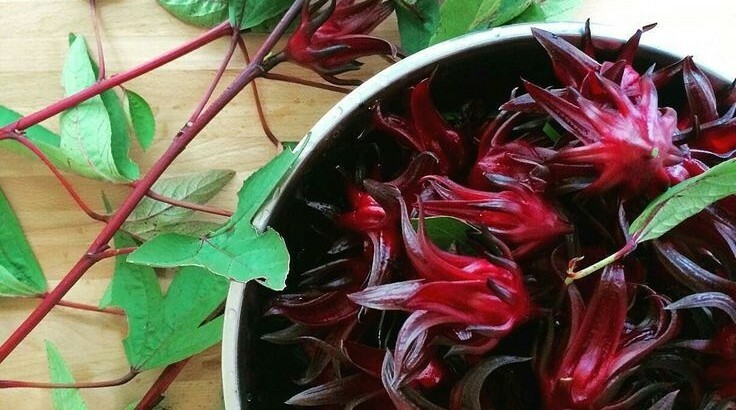 Rosellas have a unique tart flavour, making them popular for use in jams, cordials, teas and as a decorative addition to your drink. Their botanical name is Hibiscus sabdariffa, and they are a member of the Mallow family. 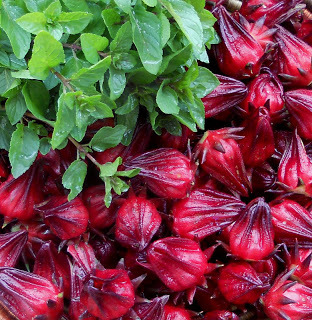 The seeds, leaves, fruits and even the roots of the Rosella are used in various foods. The fleshy red calyx, and the characteristic 5 petalled funnel shaped flower is perhaps the most popular part of the plant. The flowers are preserved in a concoction of sparkling water and cane sugar and can be used up to 36 months after bottling. 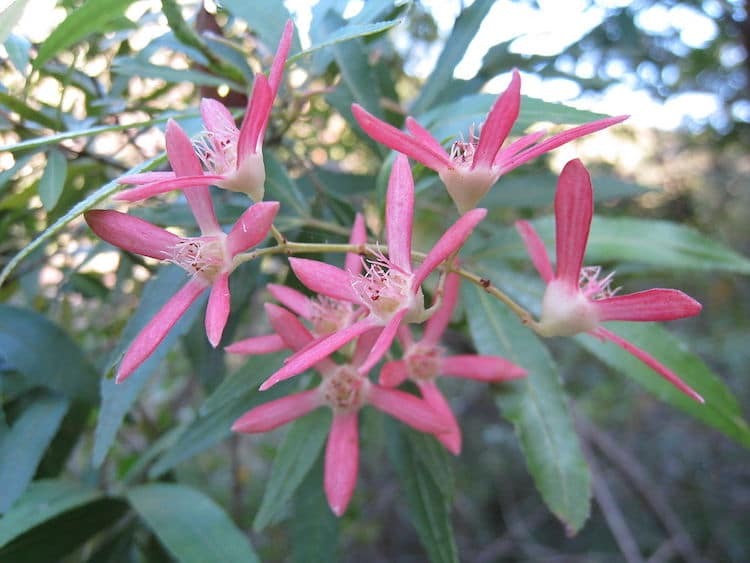 Due to the seasonal nature of the plant, demand was not being met, so they were forced to travel and establish a supply network across the Australasian tropical belt. Wow! I think it is incredibly interesting to see flowers used in ways outside floral arrangement. 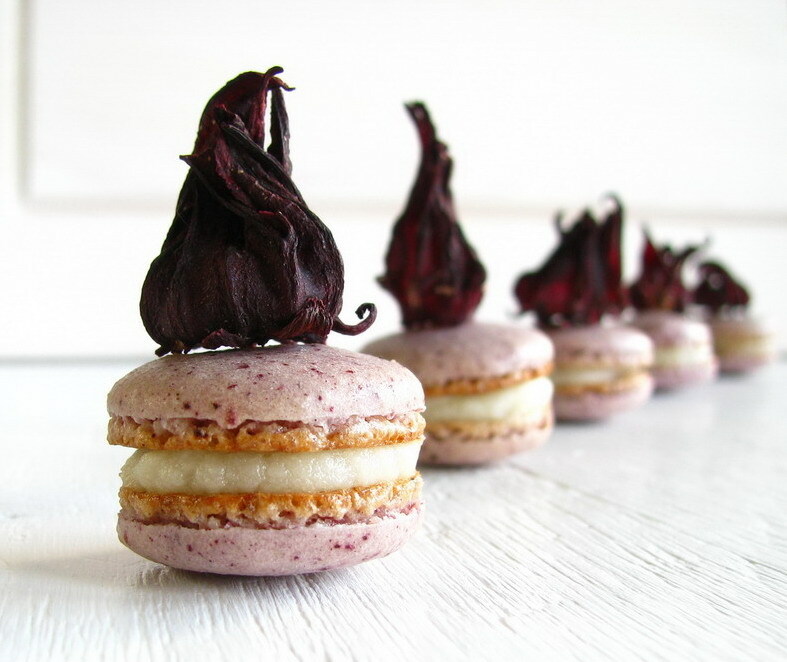 We know that many creatures in nature find sustenance from flowers, so why not us too, right? Flowers are undeniably an important part of any wedding day. For a soon-to-be-bride, her wedding day is a special occasion where she carries an exquisite flower bouquet and is surrounded with the most beautiful blooms during the wedding ceremony. 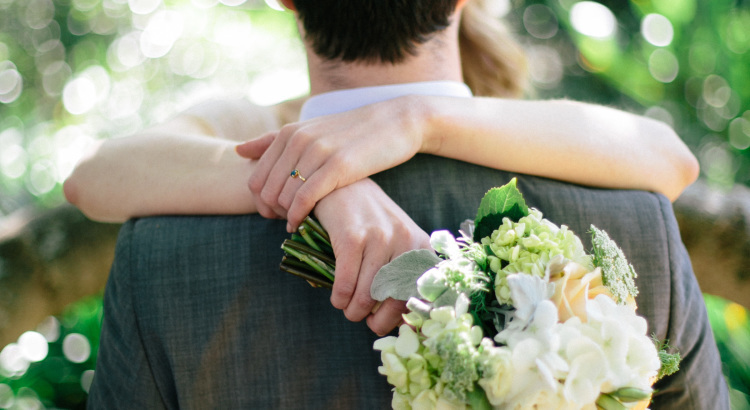 Choosing the right type of flowers for a wedding can be challenging. This is where the expertise of an Epping florist comes in. Before you call the first Epping florist & flower delivery service you have found online, you need to remember a few things when choosing which flower shop in Epping to get your bridal flower from. Why should you obtain the services of a florist? While a bride can certainly design and style her own wedding bouquet, hiring a florist is practical in more ways than one. Sourcing flowers for your wedding is not as easy as picking the most beautiful blooms from a flower shop in Sydney. To make sure that you have a perfect bouquet to match your dress, a florist will do all the leg work for you. 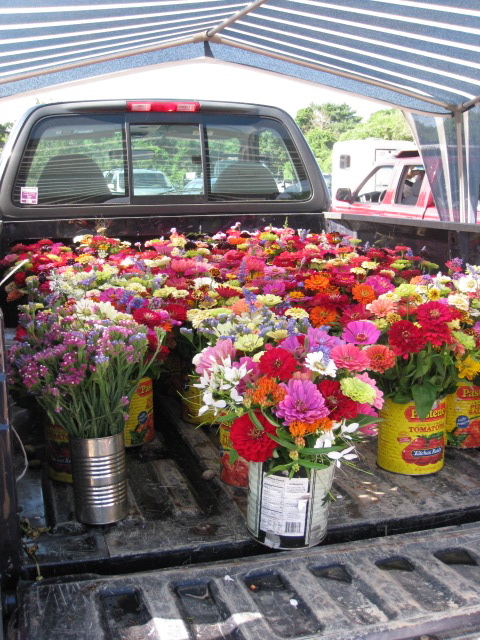 A florist wll be responsible for taking those early morning trips to flower dealers, negotiate directly with suppliers and make last-minute decisions if the chosen flowers are not yet in full bloom. 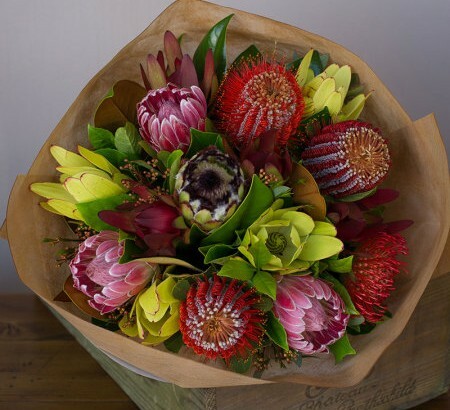 The best Epping florists are experts in maintaining the freshness of flowers for a long period of time. An experienced florist is also skilled at various wedding flower arrangements, not only for the bouquet but for flower decorations for the reception tables and other areas in the venue as well. A florist will work until the wee hours of the morning to make sure all arrangements are finished before the start of the wedding ceremony. Lastly, an Epping florist and flower delivery service will bring all flowers to the venue on time. With a florist taking care of all these things, a bride can focus on more important tasks before her wedding. If you need a reliable and affordable florist and flower delivery service on your special day, let us know and call us on 02 9871 1666. Click here to check out our beautiful arrangements for all occasions.